Since its debut in 1991, the Langkawi International Maritime & Aerospace Exhibition (LIMA) has been showcasing the latest technologies in the industry, and has grown into the biggest exhibition of its kind in the Asia Pacific region. This year, over 350 local and international participants from more than 30 countries took part in the exhibition. 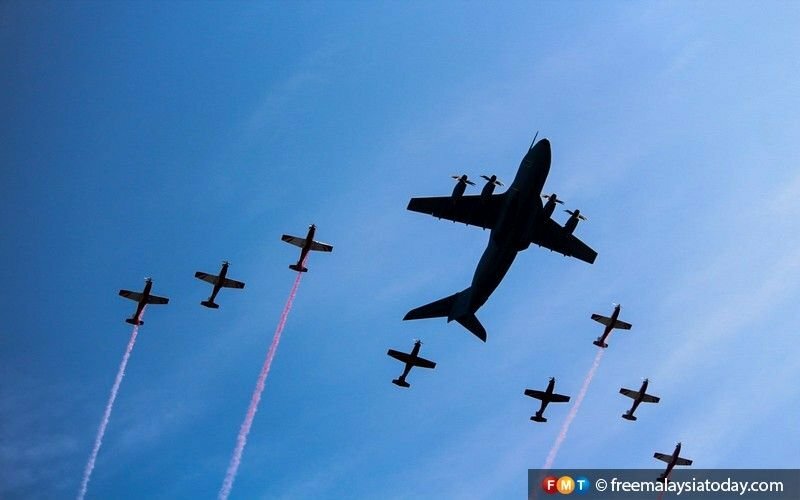 A Royal Malaysian Air Force A-400M leads a squad of PC7MKII training aircraft, at the launch of LIMA'19 in Langkawi. 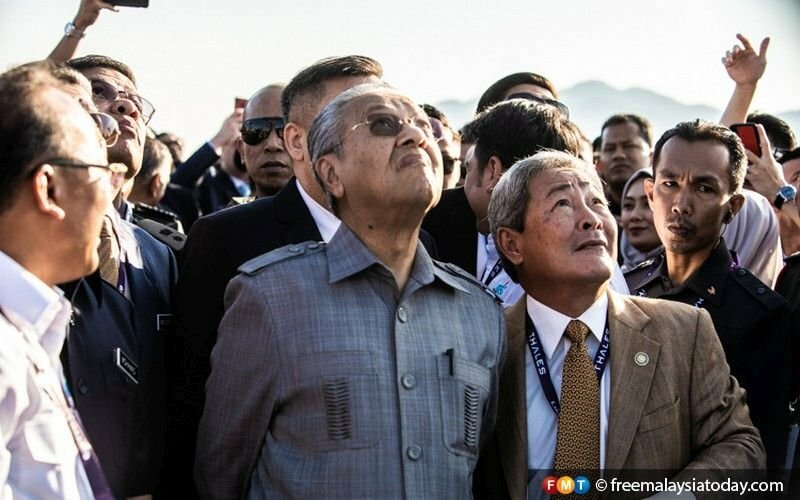 Dr Mahathir Mohamad watches an aero show in conjunction with the opening of LIMA'19. 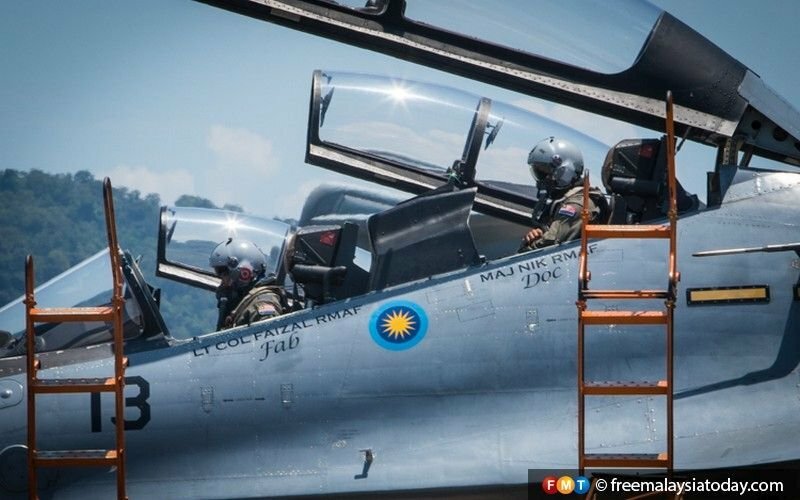 RMAF pilots prepare to exit a Sukhoi fighter jet. Russia is promoting its Sukhoi Su-57 PAK FA fifth-generation fighter aircraft at LIMA'19. 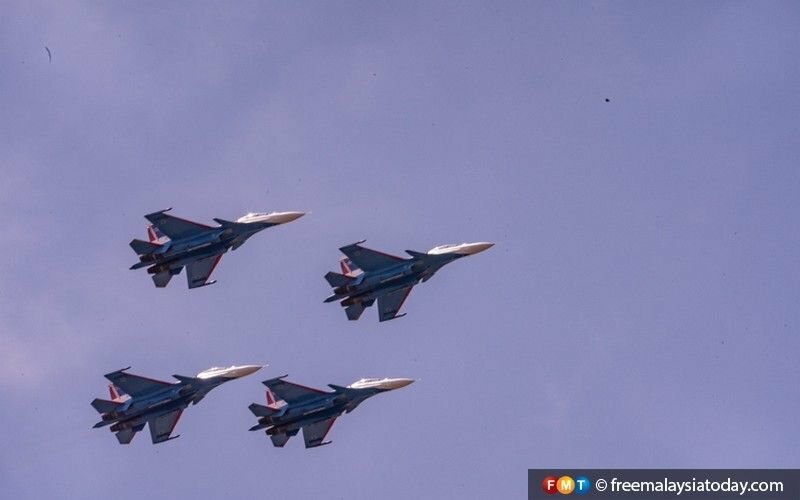 Among aircraft on display were the Russian Air Force's Russian Knights. 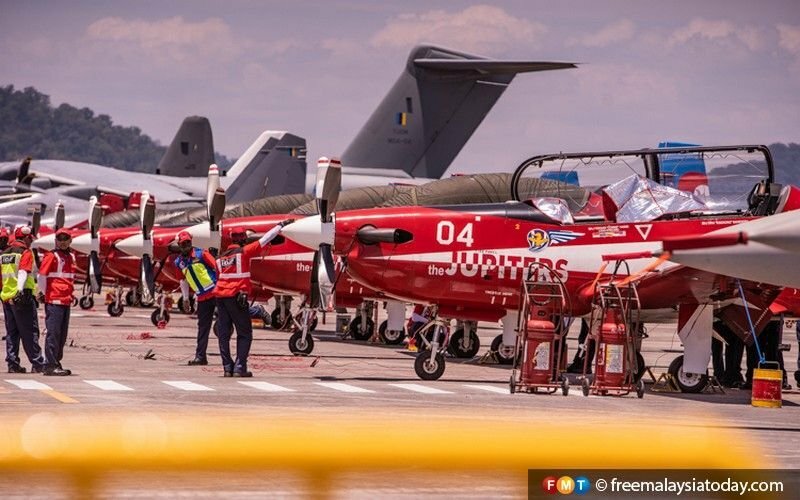 The Indonesian Air Force's Jupiters acrobatic team gets ready for take-off. 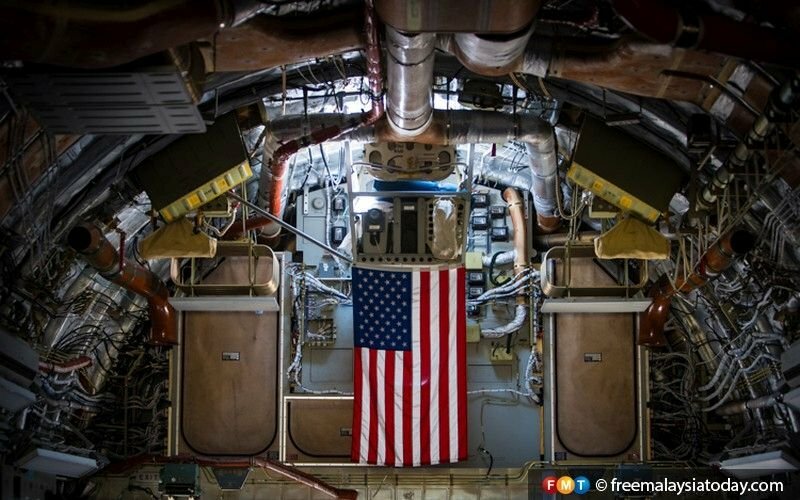 An American flag hangs in the cargo bay of the military transport aircraft C-17, among those on display at LIMA'19. 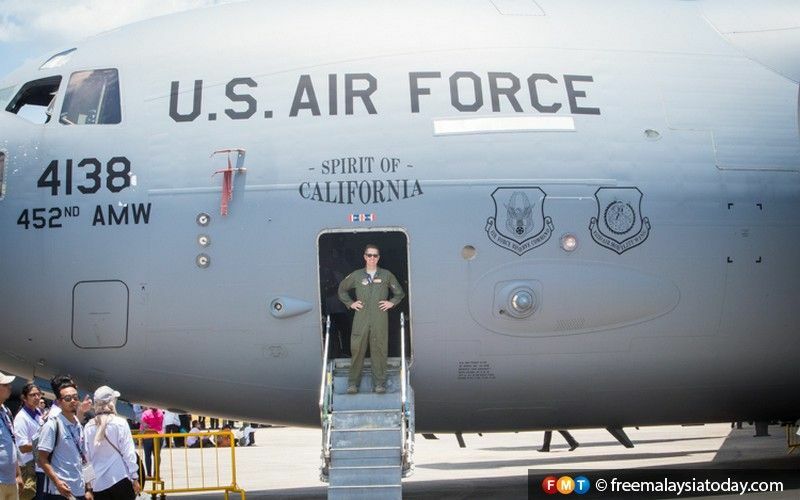 US Air Force pilot Captain Jeremy Shields poses with a C-17 transport aircraft. The EC-725 helicopter belonging to RMAF. 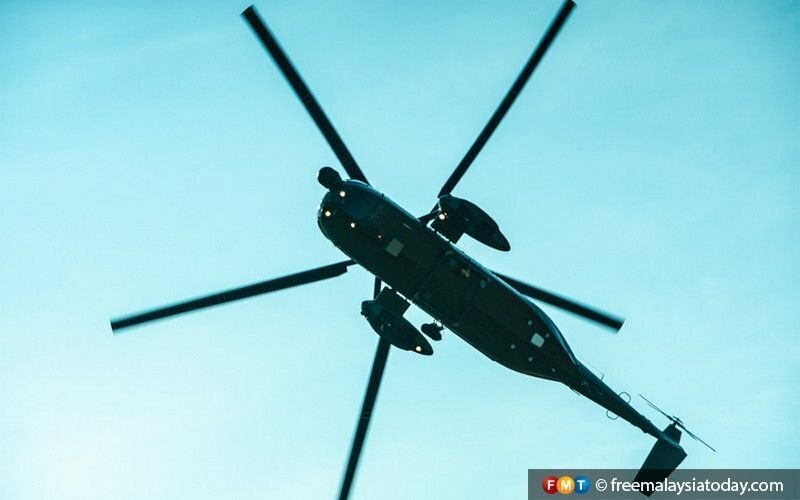 The five-blade EC725, first introduced in 2005, is used for combat search and rescue operations. 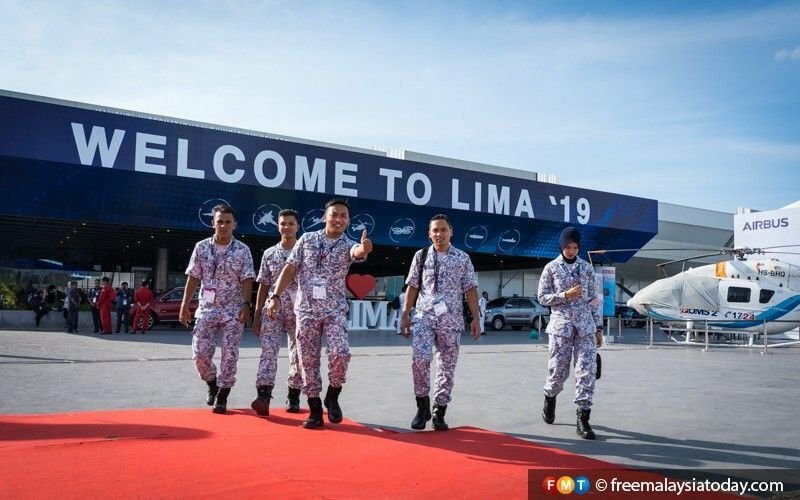 A Royal Malaysian Navy member gives the thumbs-up at LIMA'19.